Here are class projects from the Finger Lakes conference, going clockwise. The theme was "Fantasia," so the hippo is Jane's pattern adapted by Ginny Weathers to be one the dancing hippos from the movie. I still need to add the tutu skirt which will be made from tulle net that Ginny provided. 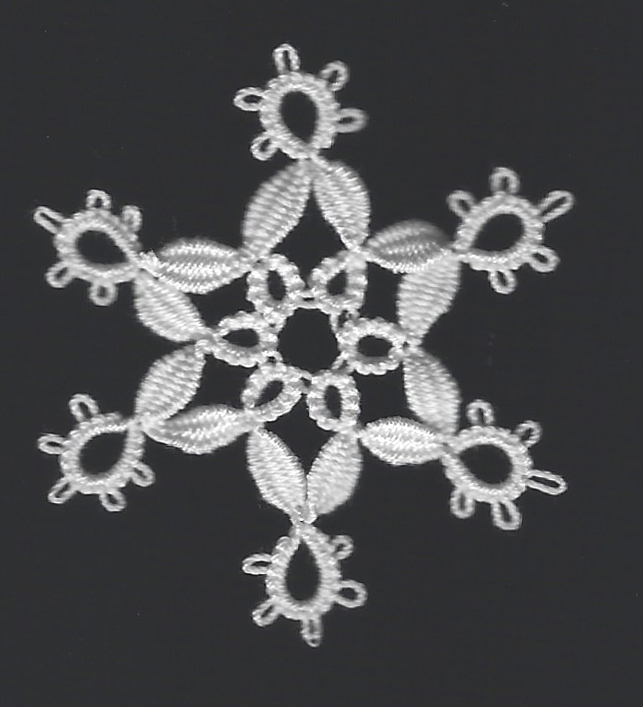 The cluny snowflake taught by Mimi Dillman that I showed you last time. A Faery designed by Karey. 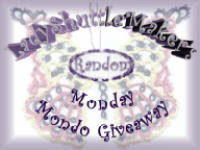 She provided the dolls and we tatted the clothing and wings. Her pattern included making the doll so I can make more later if I want. The angel is from a class by K Boniface. She adapted vintage edgings to make new motifs, just my sort of thing. I changed the joins in the last row a little. There were 3 more little motifs in her handout, which I will get to later. I always enjoy my time at this conference. It is rather relaxed and informal. They feed you wonderful home cooked food at every meal. And Karey is such delightful person, I always enjoy her company, and that of many other regular attendees. 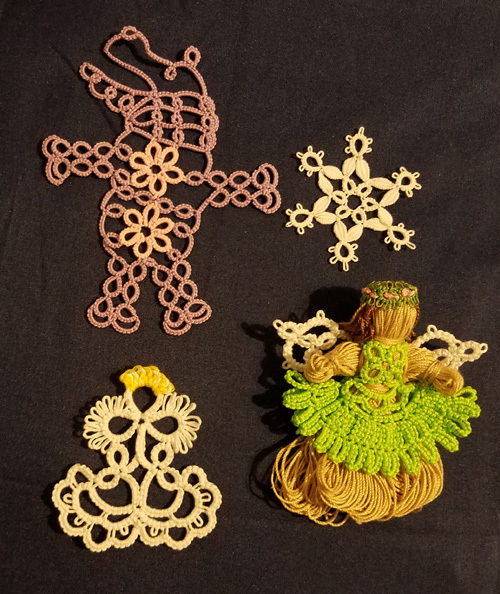 I was recently fortunate to attend the Finger Lakes Tatting Conference. 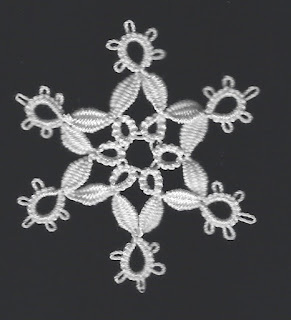 One of my classes was with Mimi Dillman, who is the master of cluny tatting. It was wonderful hearing her advice and seeing her samples of cluny work. I had done a little with clunies before, but they never looked any where as nice as this class project I finished after I got home. She showed us an easier way to form the cluny "loom" over our fingers. 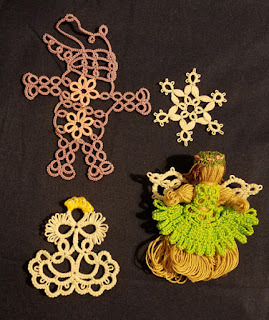 You can see that method in this this YouTube video HERE by Elisadusud, another grand master of the cluny style.